Whether you are building a new or enhancing an existing office intranet, Priority One Solutions has the experience to quickly develop web interfaces for your business environment. Our web design team can create client interfaces to the back office application, eliminating the need for specialized software being installed on all workstations in your enterprise. Intranet sites developed in the past include time tracking interfaces, document workflow manager, and customer account management. If your company does not have a data center, Priority One Solutions can host your application in our hosting facility. The level of support required can be customized to meet your needs. 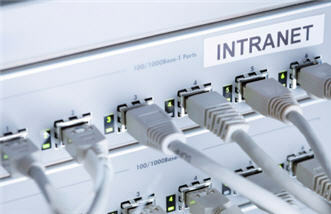 Contact us to discuss your custom intranet software needs.